Something to think about. Especially if you’re considering a move to Stepping Stone. Yes, Stepping Stone has all the modern goodies you want: clubhouse, Olympic-size pool, parks, trails and, most delightful of all, homes with 21st century electrical and plumbing. But as neighborhoods like Denver’s Wash Park and Park Hill remind us, there’s a charm that comes only with age. The good news is that when you live in Stepping Stone, you enjoy the best of both worlds. A new community with all the bells and whistles, near a town beloved for its Old West-Victorian vibe. A stroll along Mainstreet can feel like a stereoscopic view into yesteryear. 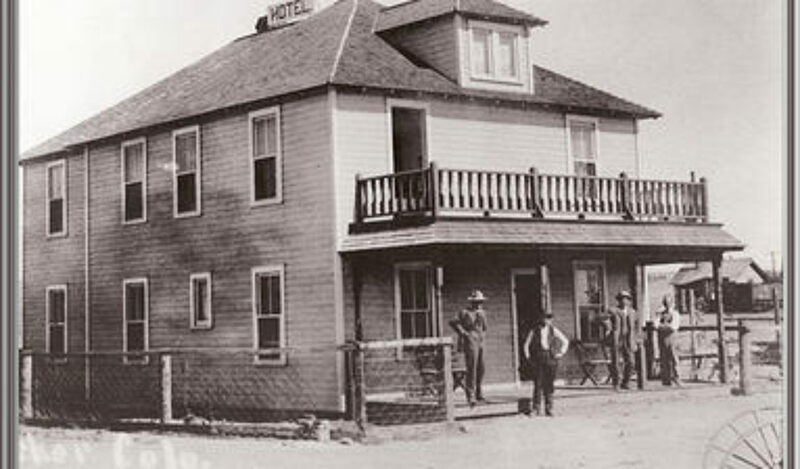 There’s the old Rhode Island Hotel (now the FIKA Coffee House), built in 1908. The white clapboard Ruth Chapel, Parker’s first church, built in 1912. The Victorian-detailed gazebo in O’Brien Park, where the town gathers for outdoor concerts and old-fashioned sleigh rides. In Parker, this historic ambiance is the real deal. In 1803, white explorers arrived here, amongst the hunting camps of the Arapahoe, Cheyenne, and Utes. Traders and trappers followed, making use of the Indian trails that ran alongside Cherry Creek. After gold was discovered in Colorado in 1858, more than 100,000 settlers arrived the next year. 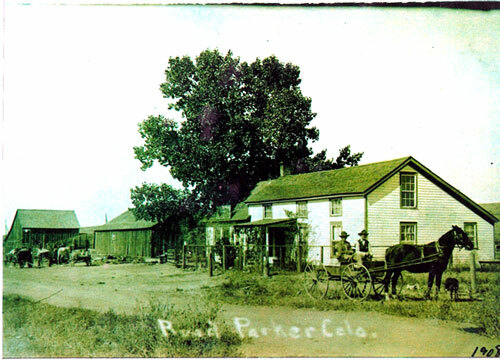 Colorado’s prairies quickly became dotted with small towns and settlements. And Parker was one of them. The Parker timeline officially kicks off in 1863, when settler Alfred Butters established the Pine Grove Way Station, a one-room building where he handled mail and sold provisions. After changing hands a few times, the building was moved onto Mainstreet, where it expanded into a stage stop named the Twenty Mile House for the distance it lay from Denver City. Bought by ex-bullwhacker James Sample Parker in 1874, the Twenty Mile House prospered, adding a blacksmith shop and general store, and became Pine Grove’s first post office. (You can still see the post office, restored, on Mainstreet.) When his daughter Edith reached school age, James Parker built the first school across the road from the Twenty Mile House. Scandinavian descendants were drawn to the area, and many established dairy farms, while others raised cattle or horses. James Parker’s brother George established a saloon and encouraged other businesses to join his. 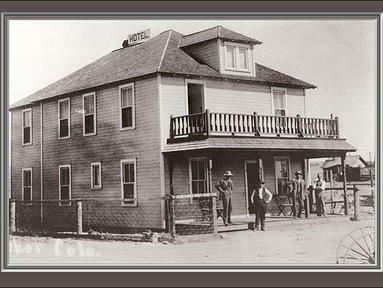 Bolstered by the addition of the Denver and New Orleans Railroad, by 1900 Parker was home to two hotels, a post office, three general mercantile stores, a saloon, a livery stable, two blacksmiths shops, railroad station, water tower and warehouse, brick works, stockyard, creamery, and bank. Fast forward a century or so. Yes, Parker’s amenities have expanded a bit—with cool boutiques, coffee shops and a performing arts center, for starters. But happily for new Stepping Stone residents, Parker’s small town, authentic Western vibe remains firmly in place.